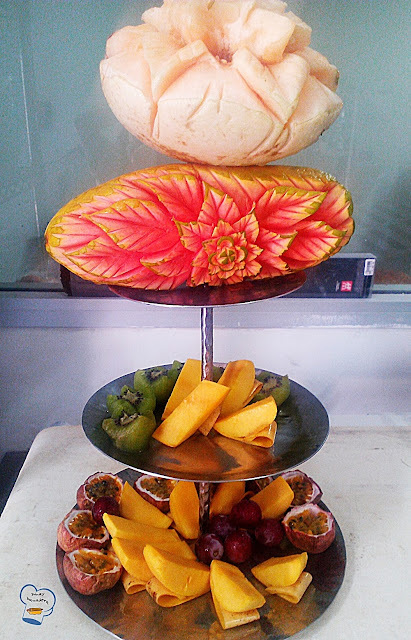 My interest in fruit carving started when I did my three-month training at a hotel in Bangkok. 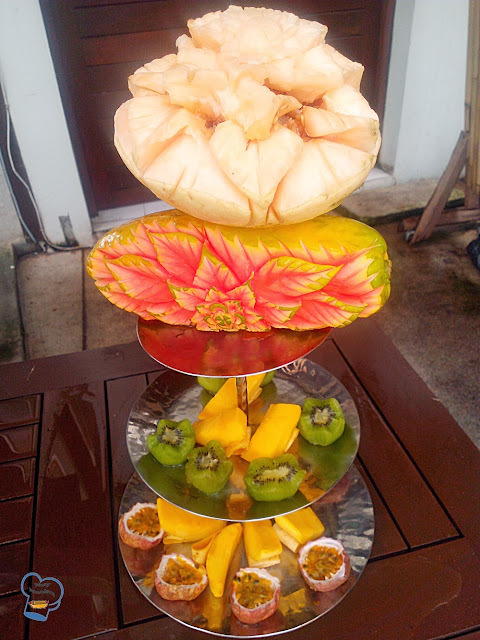 One of the ladies who taught me easy carving lessons brought me to a school somewhere in the middle of Bangkok. 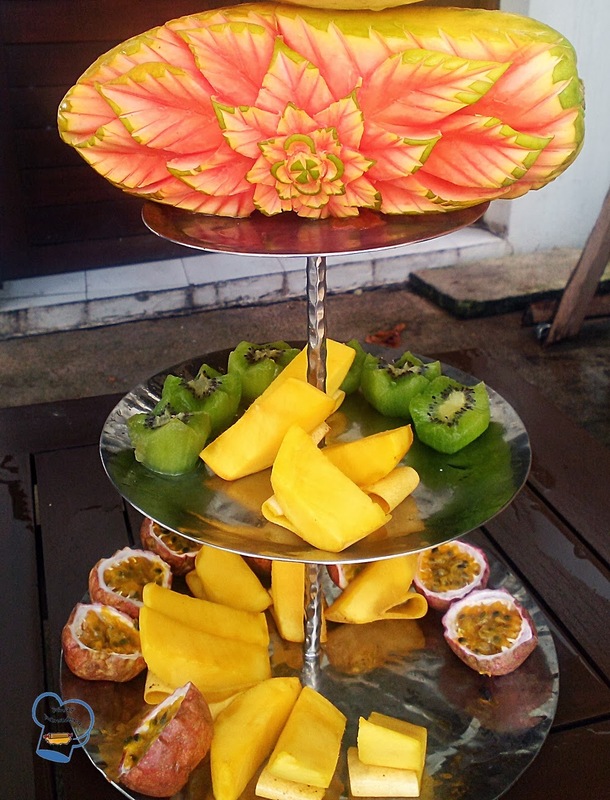 There I met a Thai guy who is famous in the country because of his intricate fruit designs. He teaches at the school. I discussed with him my possibility of enrolling in his class.One hundred baht for the whole 25 sessions is the cost. Students can even record sessions. The downside is all lessons are in Thai. How disappointing! I need to polish up my Thai. I wonder if I could squeeze it in my hectic schedule.